Chu rch historians have long known and appreciated Christianity's global history. Until recently, however, introductory textbooks on the history of Christianity focused almost exclusively on Europe and North America. 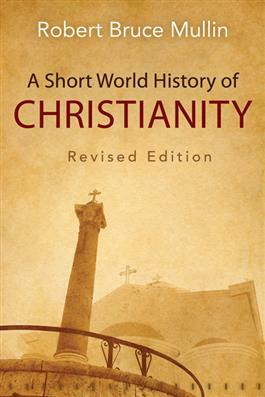 Robert Bruce Mullins's A Short World History of Christianity, by contrast, offers a panoramic picture of the history of Christianity in its Western and non- Western expressions. It tells the story of the early church in the Greek East as well as the Latin West; of Christianity's spread into Asia as well as Europe during the Middle Ages; and its explosion around the world during the modern period. Mullins's highly readable narrative explores why global perspectives have emerged so strongly in our understanding of the story of Christianity and how they have impacted Christianity's perspective on its place in the world. This newly revised edition adds information on such global phenomena as early Syriac-speaking Christianity; the growth of Pentecostalism around the world, especially in the southern hemisphere; and recent trends in Christianity, including the elevation of the first pope born in the Americas. A time line of key dates, call-out boxes, and other helpful study materials are also provided. Beginning students will appreciate this memorable introduction to the most important events in the history and development of Christianity. CLICK HERE to read the introduction to A Short World History of Christianity.